Cardiovascular diseases are the number one cause of death in the USA and the NAOOA is proud to participate in the fight against heart disease and stroke. President Lyndon B. Johnson declared February heart month in 1964. During the month of February, we will do our part by featuring recipes and tips on how to protect your heart with diet, exercise and lifestyle changes. How can olive oil help protect your heart? Studies consistently show that olive oil (both extra virgin and regular olive oil) is associated with a reduced risk of stroke, heart disease and diabetes. One of the main reasons is because the fat found in olive oil is monounsaturated fatty acid (MUFA). MUFAs have been found to reduce both total cholesterol and LDL (bad) cholesterol. MUFAs may also help normalize blood clotting and benefit insulin levels and blood sugar control, which can be especially helpful if you have type 2 diabetes. Olive oil's heart benefits have been recognized by the FDA and olive oil is certified by the American Hearth Association as a Heart-Healthy Food. For your heart, find new ways to replace unhealthy fats with heart-healthy olive oil. You can use olive oil right out of the bottle as a condiment or dressing and and you can cook with it too. 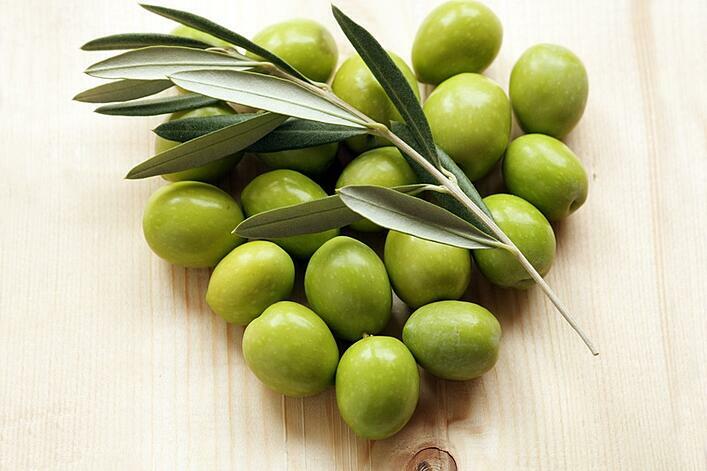 Olive oil stands up to the temperatures required for grilling, sauteeing, baking and roasting. You can easily replace many saturated fats such as butter with olive oil. Join us this heart month in making lifestyle changes to benefit your health and satisfy your taste buds too! * Heart-Check certification does not apply to information or links unless expressly stated. Mayo Clinic, What are MUFAs, and should I include them in my diet? By Katherine Zeratsky, R.D., L.D.